This is the look I have in mind for like months now, by the time I saw this look from S/S 2013 by 3.1 Phillip Lim at NY fashion week I know that this look will haunting me until I became a copy cat and try with the best of my stylistic powers to extract something at least similar. 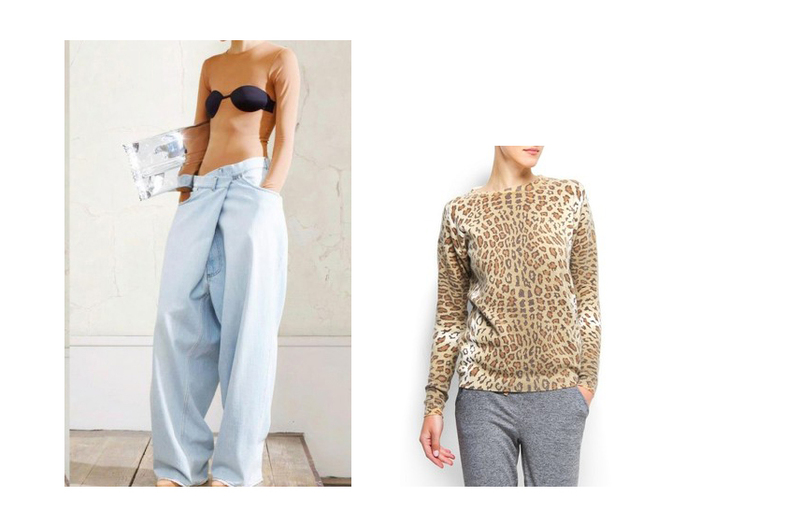 The last try was like this: Margiela for H&M loose fit jeans in light denim and Leopard sweater from mango. There's just one thing I pay attention to while trying to find something similar - One piece of the two has to be as minimal as possible, better for the sweater since the leopard pattern is certainly something a bit more "not so minimal" than the jean is, so that's why these from Lim makes it perfect, the leo pattern is enough just on the sleeves, so the jeans can look alike whatever you want.. I think the best is to compose just one lavish piece with the second piece as minimal as possible. Or if you find your perfect sweater whole in a leopard pattern than the bottom has to be so clear, simple cut without too much details on.. 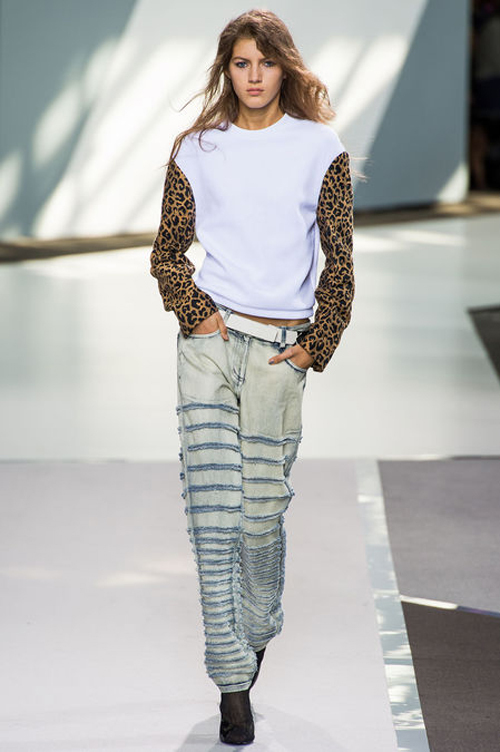 I cant wait to get my hands on these Margiela Jeans!